New Year’s Eve, 1985. Danny Fleming, mid-thirties, is about to close up his video store for the evening when into the store pops a woman he believes he remembers from grammar school. What he remembers most is that this woman went away to be a nun. Why is she there? Why does he care? As the story unfolds, we find out the answers to these and many other questions. 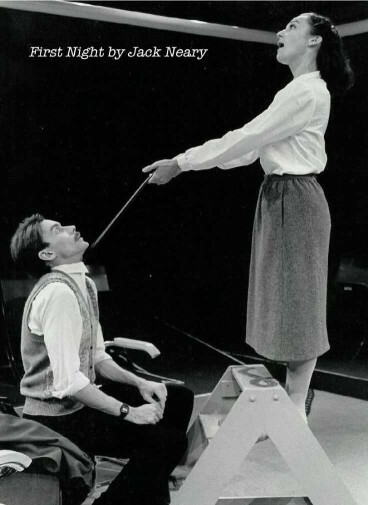 The photo above is from the 1986 production of the play, featuring Phil Kilbourne and BeeBee Horowitz, directed by Joan Courtney.